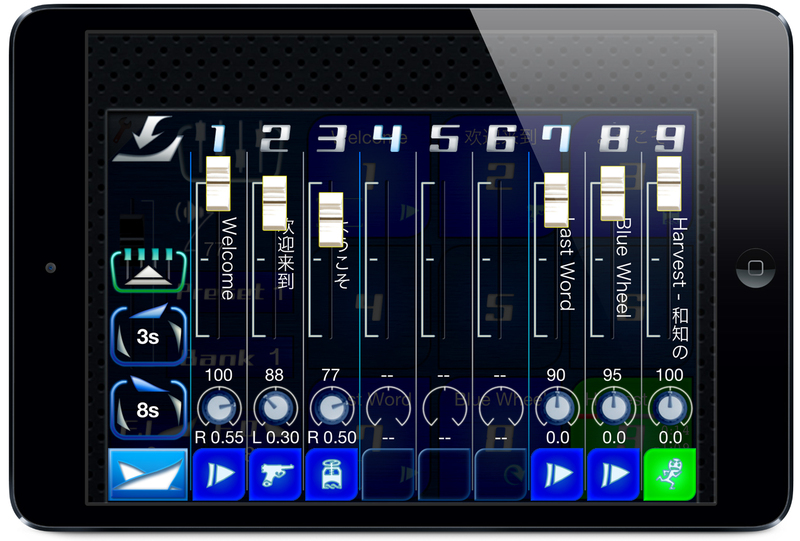 CueZy is a 9 pad sampler (sample player) app. You can select songs from your iPhone/iPad/iPod touch library and play with the features right away. Different arrangements are possible through the four play modes, looping, two group modes, and in addition, and fading in and out. These features will allow you to create a personalized music system, designed for performances, parties, and more. *The audio sampler CueZy version 2 has gone through a rigorous process to meet people’s needs for diverse music use. 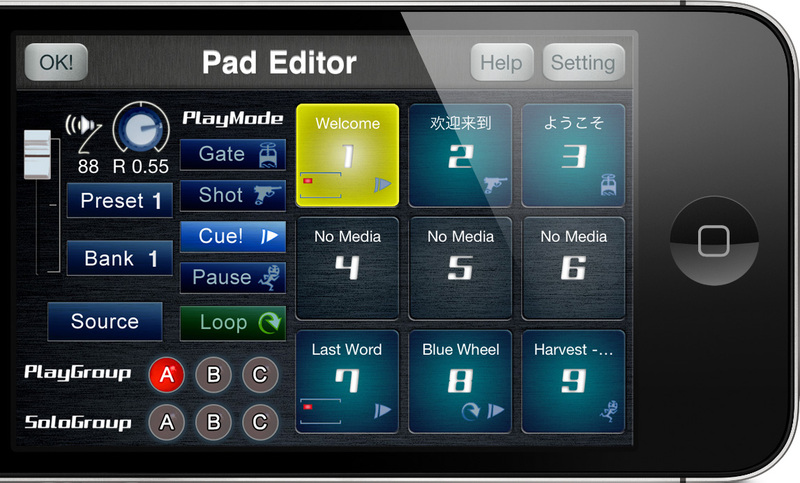 The newly added fader view can adjust the audio volume of a maximum of 9 pads, and there is a one-touch system that controls the fade-in and fade-out. In addition, the audio engine has been reconsidered from its basic construction, and has allowed room for background audio, which will allow more possibilities for different settings. *Newest information can be found here. - Simultaneous audio playback using nine sample pads. 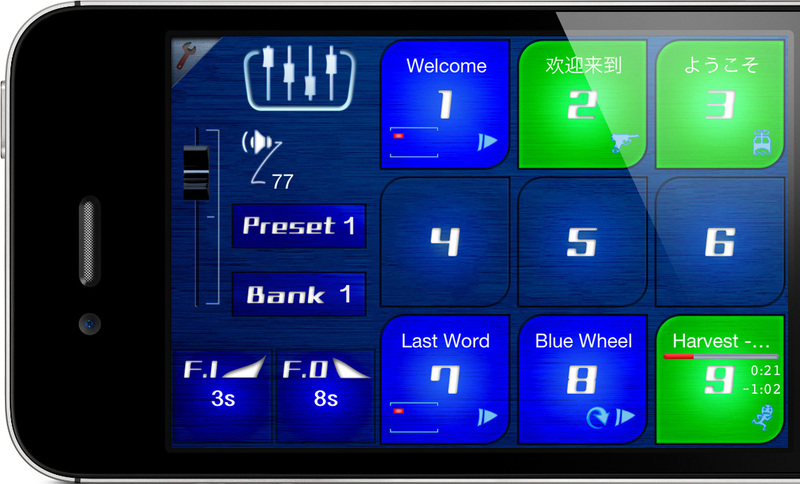 - Audio assignment from your iPhone/iPad/iPod touch library to the sample pad. - Audio file import from Dropbox, Google Drive, iTunes File sharing, "Open-in" function. - Adjust volume via the fader view. - Saving a maximum of 729 samples (Preset  x Bank  = 81 pages). - Fade in and fade out effects. - Adjusting the fade in and fade out time (0.5 to 9.0 seconds). - Adjusting the master volume. - Play audio in the background. - Designating a specific play mode for each audio (Gate/Shot/Cue!/Pause). - Setting up the loop mode. - Setting up a play group (simultaneous play). - Setting up a solo group (solo play). - Assigning specific volume settings for each audio. - Pan control for assigned audio (adjusting the sound image). CueZy is a simple yet reliable sampler app created for playing music in various professional settings. For instance, it can be used for a professional theatre performance, a live DJ party, or for playing music and adding sound effects at a house party. Copyright © 2012 Tak Mitsuhashi All rights reserved.